Enroll for the Fall 2017 Semester now! The Computer Information Systems Department offers a variety of courses designed to give students both theoretical and hands-on experience in a wide variety of computer-related areas. The new associate degree programs — Applications (Software) and Infrastructure (Hardware) — will allow you to be part of the solution to cyber crimes by joining the rapidly growing field of cybersecurity. You will learn to protect computers, networks, programs, and data from unintended or unauthorized access, change, or destruction. 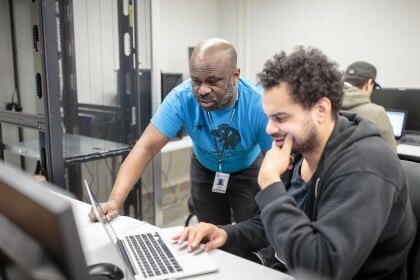 The programs are designed to give students cutting-edge skills and prepare to enter the job market and gain or upgrade their computer skills for immediate employment needs. Each program is designed to be completed in two years with students earning a degree and the knowledge to pass national certification tests. (For more information go to the Cybersecurity website here.